Come and visit Santa this Christmas season & "Add a Little Color to Your Christmas!" Your child will have a unique Santa experience not found anywhere else in the tri-city area. Professional photographic services will be available to capture that special moment between Santa and your child. Old and young are welcome. Here at Black Santa, we offer a wide range of professional photography in Raleigh, NC. You can have exceptional wedding photography and portrait photography, including senior portraits, pet portraits, head shots, family portraits, book jackets, and team sports photography! •	And Other Special Events! 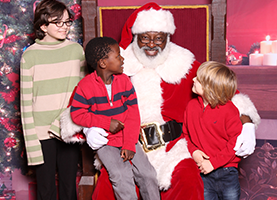 But when it comes to the holiday season, families in Raleigh count on Black Santa for portrait photography with Black Santa Claus! 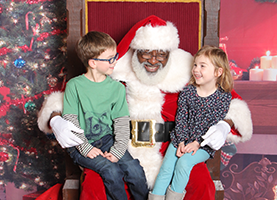 Black Santa Claus can sing, he can fly, and he is available for a limited time throughout the months of November and December for unforgettable portraits! 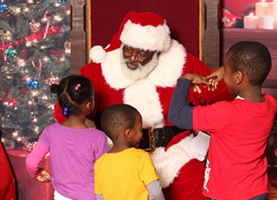 Plus, you can schedule Black Santa Claus to come to your church, business, or organization for a personal appearance! Our photographer will be there to capture your special moments for print or to post on social media. Digital files are also available for Christmas cards and other photo gifts. Black Santa specializes in on-location printing, providing you with quality prints of varying sizes (4x6s, 5x7s & 8x10s) that your guests can take home with them to remember your special event. We also specialize in images for acting portfolios and business publications. If you want photography that is "Professional & Affordable," then contact us and get a quote for your next event. 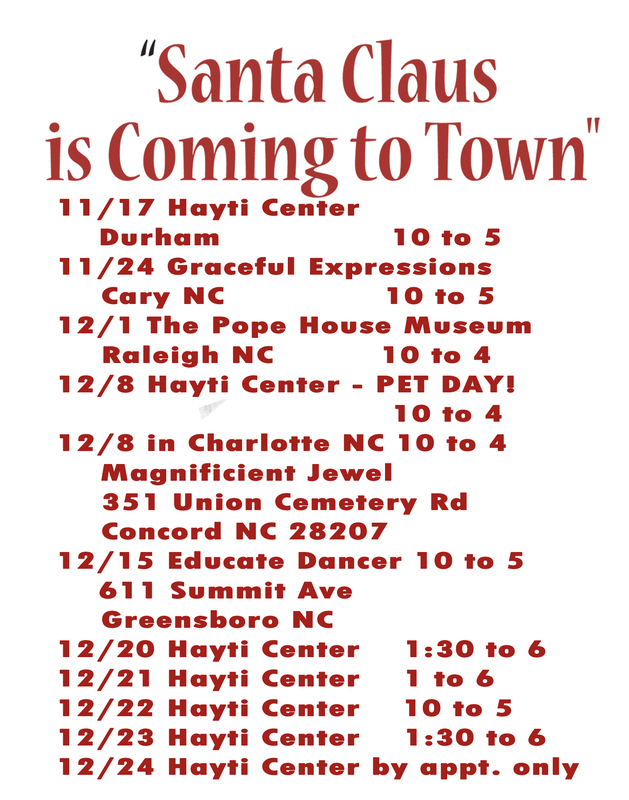 Let Black Santa in Raleigh help to make your holidays merry and bright! Call now for details!